Setting up the iKhokha Mover is really easy and just takes a few easy steps. Follow the simple steps below for either iOS or Android users. ‍Make sure the iKhokha Mover is charged and is switched on. ‍On your smartphone go to your respective app store, search for “iKhokha” and install the iKhokha app on your device. ‍Android users must install the “iKhokha” app from the Google Play store and iOS users must install the “iKhokha 2.0” app from the app store. After the iKhokha app is installed on your smartphone, switch on the Bluetooth on your mobile device. ‍Search for available devices under your Bluetooth settings. ‍The serial number that is on the back of your device will then pop up on the screen. It will always start with “PP”. ‍Select the device serial number and confirm pass key. Select “okay/pair”. 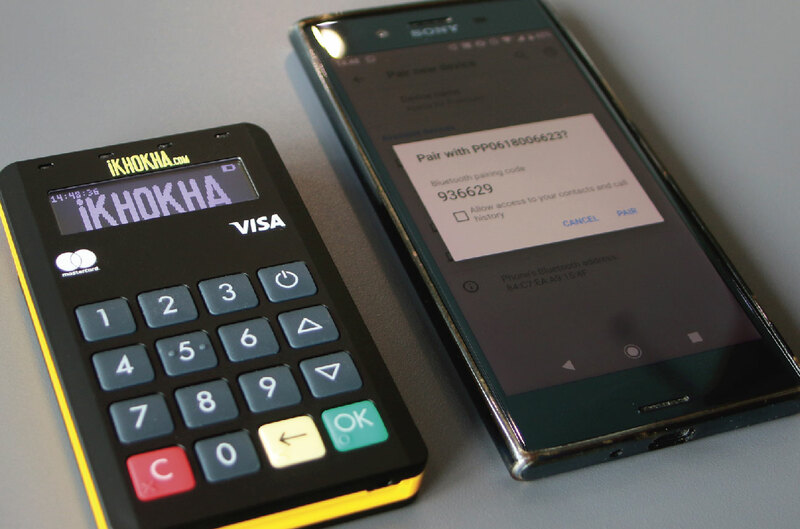 Once successfully paired to the iKhokha Mover, open the iKhokha app and sign in with the email address and password used to complete the iKhokha application. Once signed in, on the home page of your app it will give options for cash, card, Masterpass etc. On the top right-hand corner of the home screen, there will be a settings cog. Select this cog to choose your device type. Select “Mover/Shaker” as this will allow the app to connect to the device via Bluetooth. Check out Transacting with the Mover to learn how to carry out a successful transaction.